Other Common Names: Common oat, groats, herb oats, oatgrass, oats, wild oats. 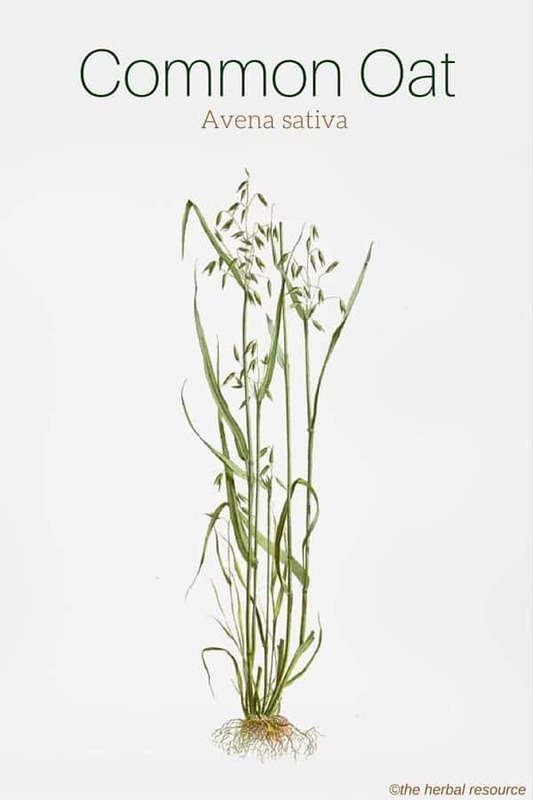 Habitat: Oat straw grows in moderate temperatures such as Northern Europe. It grows well in dry wastelands, cultivated ground, and meadows alike. It is a hardy zone 2-type plant that can be grown in heavier soils although it normally prefers sandy or loamy soils. It requires good drainage but can grow in a high acid soil. It does require sun, and cannot grow in the shade. Oat straw tolerates drought well. Although it is widely distributed as a cereal crop it is just as often found in garden beds or planted to prevent soil erosion. The fruit, seeds, and straw are typically gathered in August. 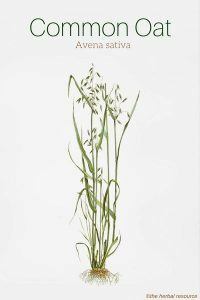 Plant Description: The oat straw plant is an annual grass. It stands erect with a flat, rough, but elongated leaf. It has a golden seed shaped much like a spindle. It is in flower during June and July. The seeds ripen from August to October. The flowers have both male and female organs and are pollinated by the wind. Plant Parts Used: Grain, straw, and seed. When the seed is harvested and dried – also in late summer – it can be stored for several years. It has a texture similar to flour and puts forth a mild, creamy flavor. Oat straw contains protein (avenins), saponins, flavonoids, alkaloids, steroidal compounds, vitamins B1, B2, D, E, carotene, starch, and fat. It also contains minerals such as calcium, magnesium and iron and trace elements like silicon and potassium. Oats have been an elemental food source for both humans and animals since prehistoric times. Oats uses as a food source is reflected in its genus name “Avena” which traces back to its original meaning of nourishing and the species name “sativa” meaning cultivated. In addition to its recognition and value as a stable food crop, however, oat straw is also used in the treatment of a number of human maladies, ailments or discomforts. It has been purported to help with the lowering of cholesterol naturally, increasing of vigor and stamina (it has been suggested to people recovering from long-term illnesses as an aid to help rebuild their strength). 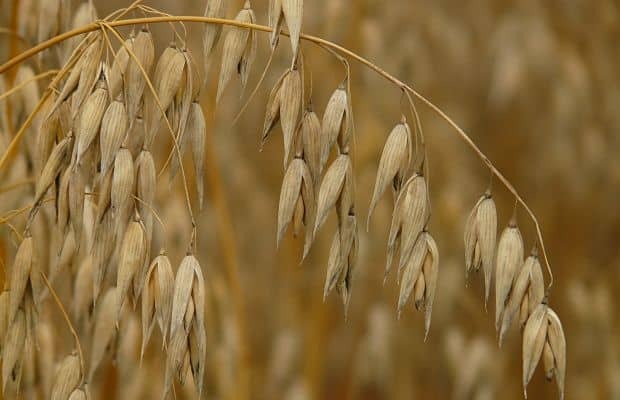 The oat seeds carry antispasmodic, cardiac, diuretic, emollient, nervine and stimulant properties. The straw (dried stems) and the grain have also been prescribed for the treatment of a wide range of nervous conditions. 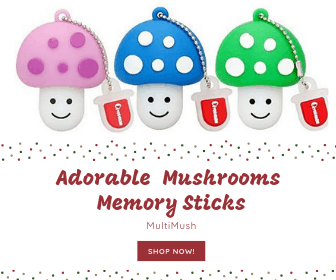 The plant has also been shown to help with the exhaustion related to neurological pains or herbal treatment for insomnia, or multiple sclerosis. A tincture has been used as a nerve stimulant when treating opium addiction and it is a popular herbal remedy for anxiety and ADHD. It can help to combat problems such as obesity, varicose veins, irritations related to the digestive tract and as an herbal treatment for hemorrhoids, however it has been found that it should not be used in dyspepsia when accompanied by acidity of the stomach. Research now shows that it contains the anti-tumor compound b-sitosterol and there are some suggestions that the chances of cancer in the bowel may be reduced by eating oats regularly, as well as cancers in general. There is also some evidence to suggest that the consumption of the oats helps to naturally lower the blood sugar levels in the body and that it could be helpful as an herbal remedy for diabetics as well. Oat straw does not contain gluten like other grains such as wheat, barley, and rye. It does contain a protein known as avenin that is well tolerated by most people with Celiac disease and those with gluten intolerance or sensitivity. Taken as an extract the typical dosage of oat straw is around 2-3 tsp to 1 cup of boiling water and then leave it for 10-15 minutes before drinking. As an alcohol tincture, the typical dosage is 3-5 ml 3 times each day. For the use in the bathtub, make an infusion adding around 1 pound oat straw to 2 quarts boiling water and leave it for 30 minutes. There are no known drug or nutrient interaction associated with the use of oat straw but for those that are allergic to oat flour, it could be a good idea to stay clear of any products containing oat straw. Michael, Tierra: The Way of Herbs. 2nd Ed. Gallery Books 1998. Weiss, R.F. Herbal Medicine: Herbal Medicine. Gothenburg, Sweden. Arcanum 1988. Balch, Phyllis A.: Herbal Drugs and Phytopharmaceuticals. Boca Raton, Florida. CRC Press 1994. Mills S.Y. : Out of the Earth: The Essential Book of Herbal Medicine. Middlesex, UK. Viking Arcana 1991.